There are a number of dynamics that make each BDS debate within the Presbyterian Church seem similar to the one that played out previously. 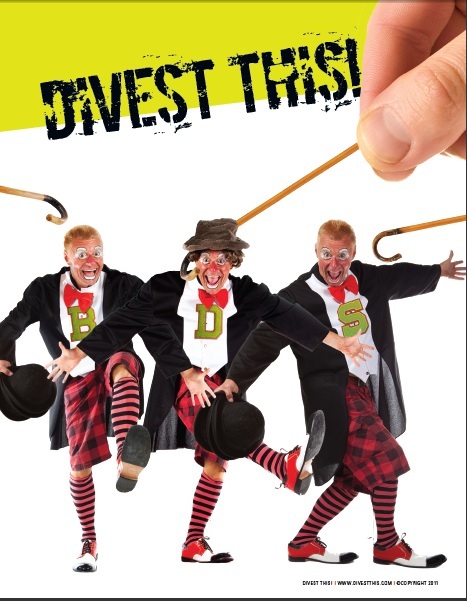 First, there is the traditional BDS dynamic that says once an organization passes any type of divestment resolution, that organization belongs to the boycotters. So the PCUSA’s fate was really sealed when they passed a divestment vote in 2004, even if they subsequently rescinded that vote in ’06 and have confirmed that rejecting in ’08, ’10 and ’12. Now any normal political movement would get the message after being told “No” time and time again. But as you’re read on this blog time and time again, BDS is not a normal political movement. And thus, the moment they were handed a defeat in the last Presbyterian GA, they began to work on how to get their way at the next one. This dynamic gives them an advantage over their opponents who tend to take a break between GAs since we lack the fanaticism needed to propagandize, infiltrate committees and engage in other activities that stand the risk of harming others. And so in 2014 we find ourselves, yet again, playing a game of catchup. Another dynamic grows out of the structure of the church itself. For in addition to the demographic crisis I mentioned yesterday, PCUSA – traditionally a highly decentralized institution – has struggled in recent years with increasing centralization around a professional leadership (headquartered in Louisville, KY) that has more in common with the leaders of other church denominations than it does with the people in their own pews. It is this interlocking directorate of Mainline Ecumenical partners that has been cultivated by groups like Sabeel, the controversial Palestinian Christian group that has been driving divestment within various churches for years. And in the case of the Presbyterians, church leaders have proven time and time again that they are more ready to push Sabeel’s agenda than to listen to what the members of their own church keep telling them. The dynamic that allows them to square such a circle is one we have seen in every BDS debate: a dynamic based on manipulation and dishonesty that should be embarrassing to any thoughtful person, and particularly appalling in the case of people claiming to speak in the name of God. And here I’m not just talking about the trumped up charges, manipulation of history and editing out all facts about the Middle East that would demolish the carefully constructed BDS story of unquestioned Israeli villainy. For within the church, this level of dishonesty goes much deeper. For example, the organs of the church driving divestment have to continually (and intentionally) misrepresent the No votes they keep receiving at GA after GA into a mere postponement, giving them the maneuvering room needed to ignore rejection and keep pushing and pushing until the end of time (or, at least, the end of the church). This dishonesty extends to never explaining to parishioners what the consequence of a “Yes” vote on divestment will actually be. To cite the most obvious example, the mainstream Jewish community (including all major religious and secular organizations) have made it abundantly clear that BDS represents a slap in their collective face and that any attempt to resuscitate what took place between 2004-2006 (when divestment was church policy) will immediately and potentially irreparably damage Jewish-Presbyterian relations across the board. But rather than try to convince members that this is a price worth paying to join the BDS bandwagon, PCUSA leaders continually pretend they can both please Sabeel and not do harm to interfaith relations. Most appalling of all have been attempts to claim that consensus mainstream Jewish opinion can be balanced out by the support BDS receives from fringe groups like Jewish Voice for Peace (ignoring the marginality of such groups, as well as ignoring the fact that if JVP ever gets what it wants out of PCUSA – a passed divestment resolution – that’s the last they’ll ever see if their new “interfaith partners”). The final dynamic I want to highlight is overreach. For time and time again, once the BDSers find themselves dominant in one part of the church’s hierarchy (such as the committees or church or quasi-church organs charged with determining Middle East policy) they can’t seem to control themselves. This excess actually works in the favor of their opponents, and it is to the latest example of such excess that I would like to turn to tomorrow. I can only imagine it’s just as wrong about the rest of the MENA, and of course, Jewish life within the current borders of the State of Israel from the Roman occupation onward.